One mans discarded something or other is another mans photograph. 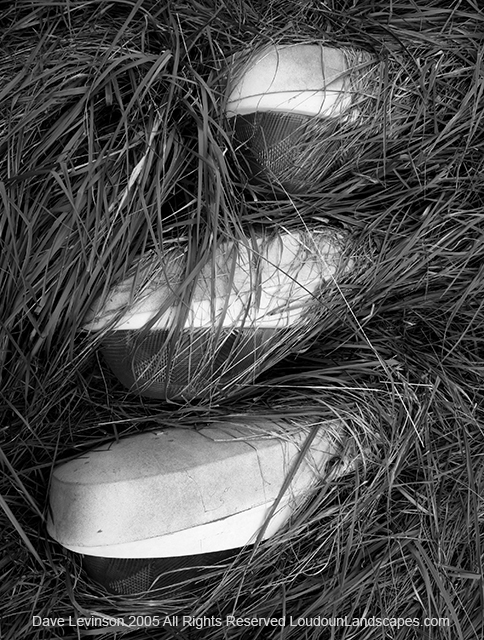 These mysterious objects are nestled in overgrown field grass and were left for the the elements to maintain. 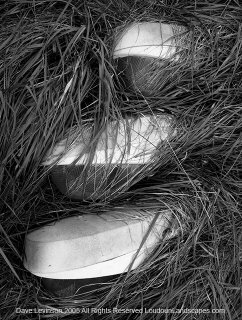 Wind and time have reclaimed these as their own. Any guesses? hard to tell - but is it styrofoam?